Buena Vista Games will launch Desperate Housewife, a new video game title in Fall 2006 inspired by the popular ABC TV show Desperate Housewives. Brenda Strong will lend her voice as game's narrator Mary Alice Young. Desperate Housewives video game is the latest extension of the successful global Desperate Housewives franchise, joining the Desperate Housewives board game, clothing, ringtones for phones, fragrance and a cookbook. In the Desperate Housewives game, players take on the role of a new housewife who sets up home in Wisteria Lane. 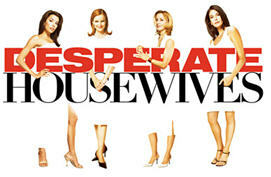 As another desperate housewife, players will be able to expose or engage in the domestic scandals that are the show's signature.